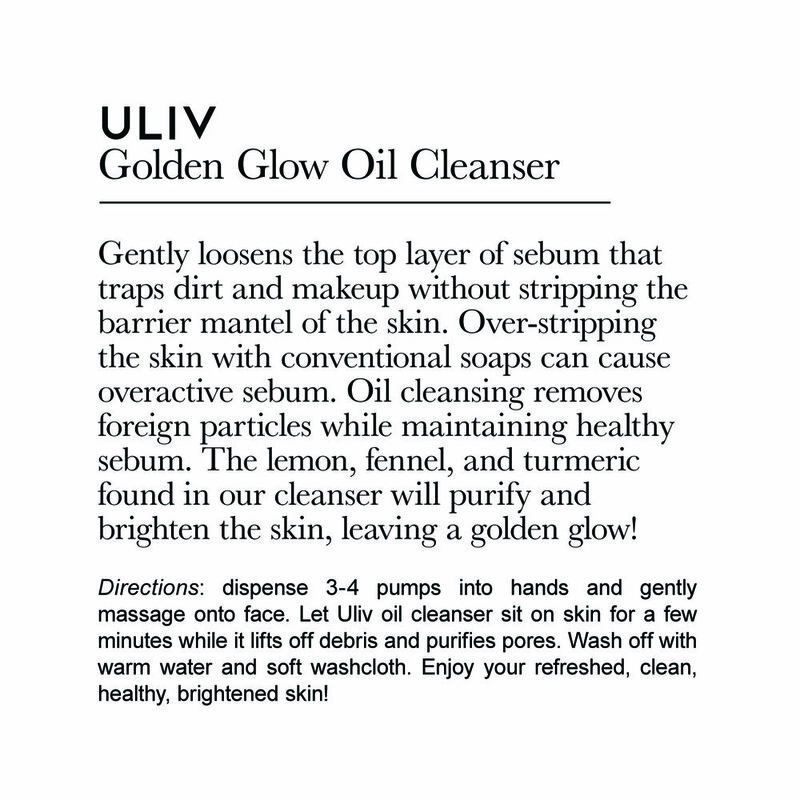 What is an Oil Cleanser? For a number of years I have been involved with a great charity called Connecting to Cure Crohn's + Colitis. Many of you know my own history with Crohn's Disease and the debilitating impact it can have. This organization is a grass roots effort to better understand the disease and more importantly to find ways to cure it. For the month of March, all proceeds from ULIV will be donated to Connecting to Cure. Your purchase can help this important work. Learn more at their website: www.connectingtocure.org or visit their instagram page. Our Golden Chai Facial Soufflé is jam-packed with nutrient-dense, anti-bacterial, skin-healing ingredients extracted from nature. One of the most powerful ingredients in our facial soufflé is Manuka Honey. If you haven’t heard of it, Manuka Honey is the most unique and powerful form of honey on the planet. It’s exclusive to New Zealand, created by bees who pollinate the Manuka Bush. But what makes Manuka that much better than your average honey? It’s all in the nutrient composition. Raw honey has a multitude of beneficial nutrients: Amino acids, B-Vitamins, Copper, Iron, Magnesium, Manganese, Phosphorus, Potassium, Sodium, and Zinc to be exact. But in Manuka honey, the density of these nutrients is over four times greater than your average honey, so your body is getting a powerful dose of enzymes that fight inflammation and bacteria and boost your immune system. Manuka Honey even has a rating scale, called UMF, which measures the medicinal, anti-bacterial capabilities of the honey. If you purchase Manuka, keep an eye on that UMF rating- it scales from 0-16, 5 indicating low levels of the unique healing properties, whereas 16+ is a highly potent batch with very high healing capabilities. For the skin, a good UMF rating means your skin will receive incredible benefits - the anti-inflammatory quality of Manuka honey is proven to improve skin texture and tone. To experience the benefits of manuka honey on the inside of your body, consume 1-2 teaspons each day. You can put it in your tea, spread it on your toast, or add it to your oatmeal or granola to start the day off on the right foot. Remember, beauty begins on the inside. What we put in our bodies has tremendous impact on our outward appearance, our self-confidence, energy levels, and overall vitality. So start by incorporating Manuka Honey into your diet. Stumped for ideas on how to add Manuka to your cooking routine? Try this recipe from Teresa Cutter on her blog The Healthy Chef! Made with love in Seal Beach, California.